We’ve missed you Boracay White Beach, so we’re bringing back an even bigger and more exciting event this November 2017! 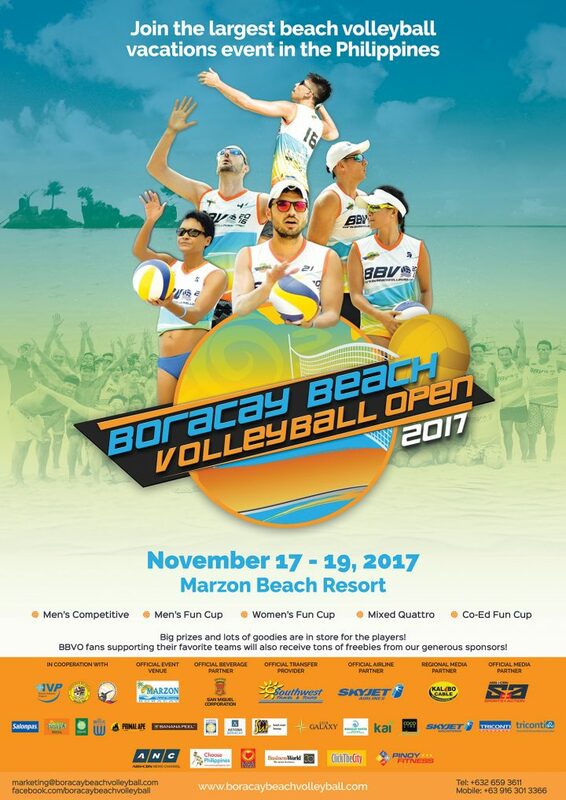 The Beach Volleyball Open (BBVO) will take place at the Beachfront of Marzon Beach Resort Boracay on November 17-19, 2017. In promotion of fitness and sustainable tourism, Boracay Beach Volleyball Open (BBVO) has been bringing together more than 120 players from all over the world to play at this prestigious volleyball event for the past five years. Endorsed by the Heroes Volleyball Program (HVP), Philippine Beach Volleyball Association (PBVA) and the Province of Aklan, BBVO aims to highlight the love for sport with its desire to promote Boracay as the #1 vacation destination in the Philippines. 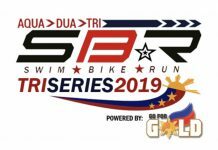 This year’s tournament will consist of Five (5) Divisions: The Men’s Philippine Beach Cup (Advanced Players), San Miguel Men’s Fun Cup, the Marzon Beach Resort Women’s Fun Cup, the most favorite division the Skyjet Mixed Quattro Fun Cup and a new exciting division the Co-ed Fun Cup. BBVO is open to both leisure and competitive volleyball aficionados as long as they are 18 years of age! No one will go home empty handed as all registered players and fans will be receiving loot bags packed with goodies from our generous event sponsors. 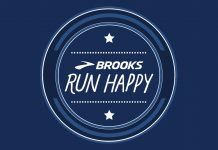 Team winners will be receiving plenty of sought-after prizes and giveaways much like in the previous years where winners received Gift Certificates and other high value treats! 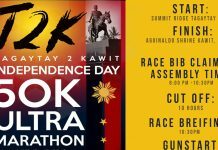 Live telecast of the games will be aired through our Regional Media Partner Kalibo Cable, while our National Media Partner ABS-CBN Sports and Action will feature the event in one of their sports segments so everyone can witness the exciting moments of the biggest and exciting beach volleyball vacation event of the season! Make sure you and your friends don’t miss out on the most thrilling beach volleyball games in Boracay this 2016 – a Fans Package is also available so you can support your favorite players throughout the entire tournament! Play hard by day and party even harder at night during the Players’ Party at the famous Club Galaxy Boracay. For an updated schedule of events, Players and Fans Packages and listing of all the sponsors please visit www.boracaybeachvolleyball.com. To inquire about Travel Packages you may also call +632 659 3611 and reserve your flights via Skyjet Airlines (BBVO Official Airline Partner) combined with great deals from BBVO partner-hotels to fit all budgets types.